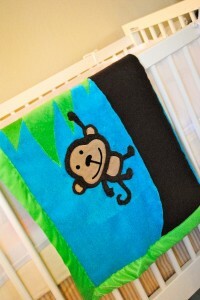 I made this blanket using templates cut out from the Cricut “Create a Critter” cartridge. 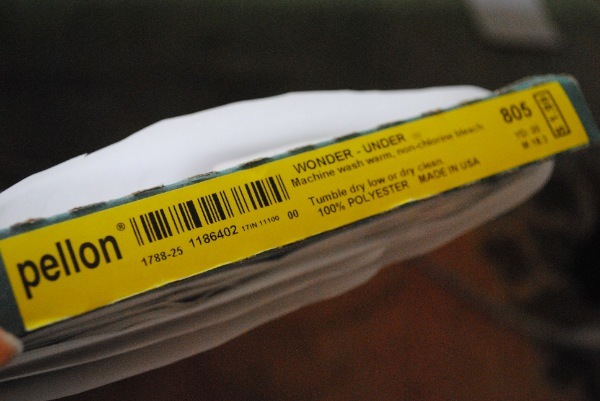 Although I did not use the Cricut to cut the fabric itself, I traced the paper cut outs onto ironed on Pellon “Wonder Under” fusible web. To see INSTRUCTIONS, click Continue Reading. 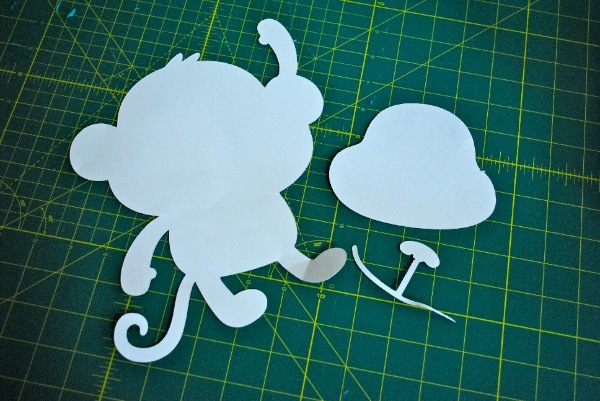 1) Cut out all of your pieces from the Cricut to use as templates. I cut the monkey out at 11 1/2″. Draw out your tree shapes onto your parchment paper and cut that out, too. 2) Iron on the fusible web to the backs of your fabrics. DO NOT pull the waxy paper off of the fabric yet. I use this stuff all the time so I bought a whole bolt of it when it was on sale at Joann’s. 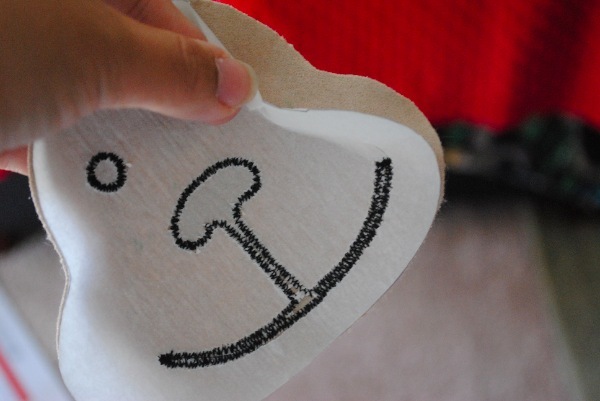 3) Trace your templates onto the backs of your fused fabrics and cut them out with scissors. 4) Remove backing of tree trunk. Iron onto blanket. Finish the edges with a zig zag stitch once adhered. 5) Remove backing of tree leaves. Iron onto blanket. 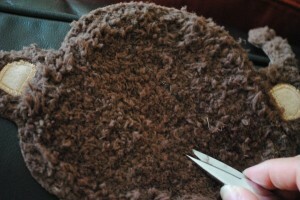 Finish the edges with a zig zag stitch once adhered. 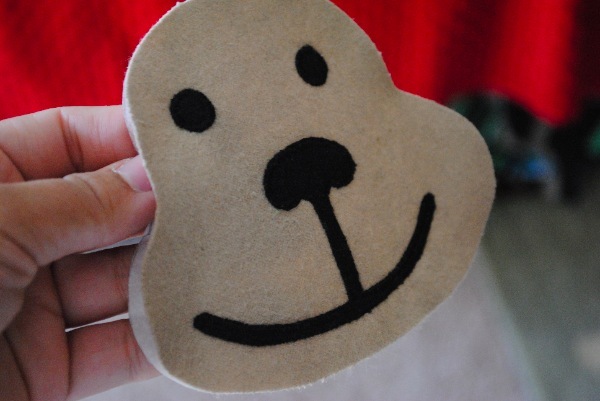 5) Leave the backing on the face shape for now. Remove backing from the smile/nose and eyes and iron onto the face of the monkey. Finish the edges with a zig zag stitch once adhered. 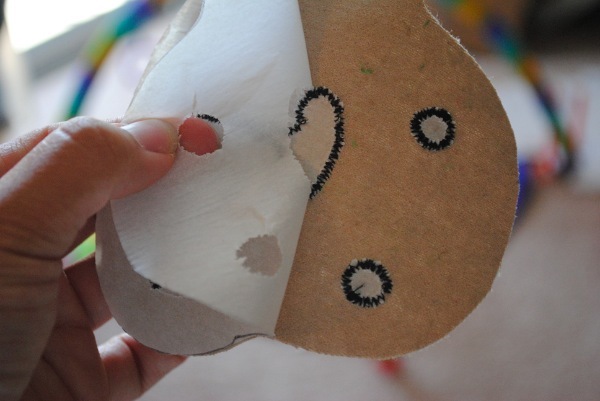 After sewing edges, remove the waxy paper from the back of the face. 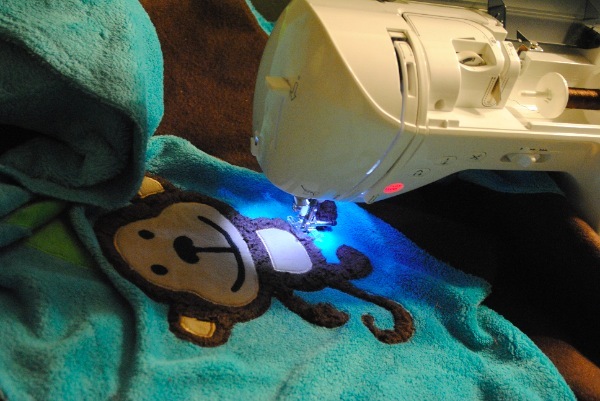 6) Trim the fur of the monkey so that there is a nice flat surface to adhere your pieces onto. Iron on the face, belly, and ear pieces. It’s just like a little haircut! 7) Iron on the monkey body and sew edges. 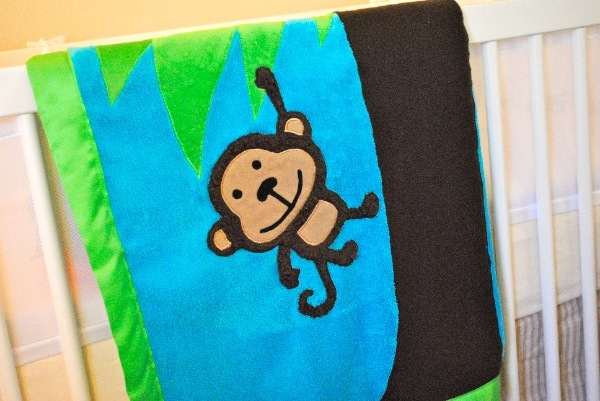 8) Sew on the edge binding for the blanket and you are finished!